In the world of vaping, the hardware gets most of the attention. Everybody loves a fancy new vaping device with the latest features, gimmicks and fancy design elements. E-liquid, on the other hand, gets relatively little attention – which is a little odd when you think about it. You’ll spend far more on e-liquid during your life as a vaper, after all, than you’ll spend on new vaping hardware. One could also say that e-liquid affects the quality of the vaping experience far more dramatically than hardware. If you want to love vaping, you’d better buy the right e-liquid – and in this ultimate guide to e-liquid, that’s exactly what we’re going to help you do. In this guide, we’ll provide short answers to all the questions about e-liquid that you might have. To view more information about an answer, click the link below it. E-liquid is the liquid inside an e-cigarette. The e-cigarette uses a heating wire to turn the e-liquid into an aerosol that you can inhale. E-liquid is the most important consumable substance in an e-cigarette. Without it, an e-cigarette can’t produce vapour. Most e-liquids contain four ingredients: vegetable glycerine, propylene glycol, nicotine and natural and/or artificial flavours. Vegetable glycerine and propylene glycol are the most abundant ingredients in e-liquid. They dilute the nicotine and flavours to the proper strengths and form most of the visible vapour that you exhale. Concentrated flavours give e-liquid its taste, and nicotine allows e-liquid to replace tobacco cigarettes. Does All E-Liquid Have Nicotine? No. Most e-liquids have nicotine-free versions available because many vapers no longer require nicotine and vape solely for the pleasure of doing so. Since e-liquid is available in several different nicotine strengths, you can reduce your nicotine consumption over time if you like. What E-Liquid Nicotine Strength Should I Buy? Unless you’re an occasional smoker, we recommend starting with our highest nicotine strength of 12 mg. Nicotine is only one of the many active components of cigarette smoke. When you switch from smoking to vaping, your body will have to rid itself of those extra chemicals – and you may not feel entirely yourself for the first few days. During that time, it’s important to keep your nicotine levels up. You can always buy a lower nicotine strength later if you like. If you’re a very light smoker – if you smoke only in pubs, for instance – you may want to start with the 6 mg nicotine strength because your nicotine requirement is lower than that of an everyday smoker. What Does E-Liquid Taste Like? E-liquid can taste like almost anything you can possibly imagine. E-liquid makers use the same flavour compounds used by makers of candies, sodas, frozen treats and other foods. By using the right flavours in the right combinations, skilled e-liquid mixers can create flavours that taste like your favourite sweet treats. Some e-liquids provide unique flavour experiences that you can’t find anywhere else. Does Tobacco E-Liquid Taste Like a Real Cigarette? When you smoke a cigarette, you don’t really taste tobacco; what you actually taste is smoke. An e-cigarette doesn’t burn and produces no smoke. Most e-liquids – even those with “tobacco” flavours – contain no tobacco. No matter what e-liquid you use, vaping will not taste like smoking. What e-liquid can do, however, is recreate some of the flavours that you love in tobacco – the nutty, savoury, spicy and sweet notes – to bring you an experience that pleases your palate in a similar way. In time, you’ll likely find that you no longer care at all about recreating the experience of smoking. 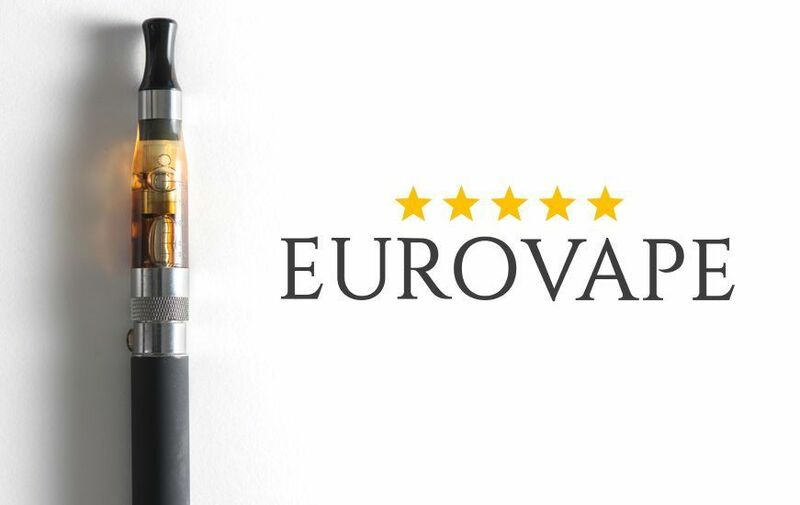 It’s sweet and fruity flavours – not tobacco flavours – that most vapers prefer. How Long Does a Bottle of E-Liquid Last? If you smoke a pack of cigarettes per day, you consume about 20 mg of nicotine daily. A 10 ml bottle of e-liquid at the 12 mg nicotine strength contains 120 total mg of nicotine. If you’re a pack-a-day smoker and use the 12 mg nicotine strength when you convert to vaping, you can expect a bottle of e-liquid to last six days at the most. Some studies suggest, however, that the body absorbs nicotine more slowly in e-liquid form – so you may consume a bit more total nicotine when you initially switch to vaping. How do I Use E-Liquid? Our e-cigarette starter kits include refillable e-liquid tanks. To fill a tank, twist off the black mouthpiece and pour e-liquid in until the level of e-liquid in the tank reaches the top fill line. Wait a few minutes for the wick inside the tank to become completely wet. Puff gently on the e-cigarette while holding the fire button on the side of the battery. When the level of e-liquid in the tank is low, fill the tank. How Should I Store E-Liquid? Store your e-liquid in a cool, enclosed place to protect the nicotine from oxidation. While oxidation doesn’t affect your body’s ability to absorb the nicotine, it can slightly alter the colour and flavour of the e-liquid. Nicotine is a poison, and drinking e-liquid can cause a nicotine overdose. Keep e-liquid away from pets and children. Steeping is ageing e-liquid in a controlled way to enact positive changes on the e-liquid’s flavour. A common method of steeping is to store a bottle of e-liquid in a cabinet for several days or weeks, opening and shaking the bottle each day to aerate and redistribute the contents. Steeping encourages the molecular interaction of the different compounds in an e-liquid and speeds the evaporation of harsher alcohol-based flavours. Since most e-liquid spends time in warehouses before it’s shipped to buyers, steeping e-liquid is usually unnecessary. If you happen to receive a bottle of e-liquid that’s only a few days old, though, you may find that steeping the e-liquid gives the flavours an opportunity to meld. What Are Naturally Extracted Tobacco (NET) E-Liquids? It may not be possible to manufacture an e-liquid that recreates the taste of cigarette smoke, but that fact hasn’t stopped people from finding new ways to express the flavour of tobacco in e-liquid form. NET e-liquid contains an extract of real tobacco leaves that are macerated with a solvent and allowed to steep for several weeks or months. After maceration, the resulting extract is filtered, concentrated and used as a flavouring additive. Nicotine salt e-liquid contains an acid that converts the liquid nicotine in the product – ordinarily a free base – to a salt. Since the nicotine in a tobacco leaf is also a salt, nicotine salt e-liquids deliver a form of nicotine resembling plant-based nicotine. Some studies suggest that the body may absorb the nicotine in an e-liquid more quickly if the nicotine is a salt.